Fundamentals of Joomla! 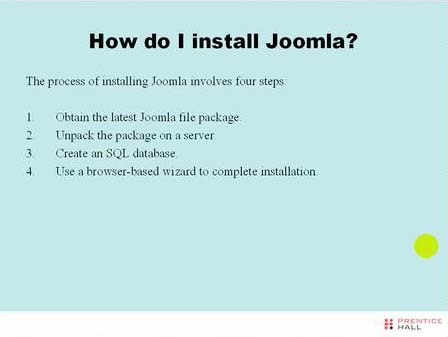 (Video Training): How Do I Install Joomla? This video excerpt is lesson 2 from Fundamentals of Joomla! (Video Training).